Climate activists are claiming they have shut down all tar sands oil coming into the United States by manually turning off pipelines in Minnesota, Montana, North Dakota and Washington state. According to a statement posted online: "This morning, by 7:30 PST, 5 activists have successfully shut down 5 pipelines across the United States delivering tar sands oil from Alberta, Canada in support of the call for International Days of Prayer and Action for Standing Rock. 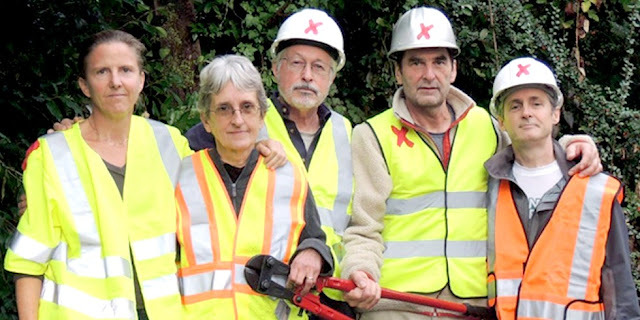 Activists employed manual safety valves, calling on President Obama to use emergency powers to keep the pipelines closed and mobilize for the extraordinary shift away from fossil fuels now required to avert catastrophe." The activists said they targeted the following pipelines: Enbridge Line 4 and 67 in Leonard, Minnesota; TransCanada’s Keystone pipeline in Walhalla, North Dakota; Spectra Energy’s Express pipeline in Coal Banks Landing, Montana; and Kinder-Morgan’s Trans-Mountain pipeline, Anacortes, Washington. "Like mothers everywhere, I act from a deep love that extends to all children and young people, and all living beings on this planet," Klapstein said. "I have signed hundreds of petitions, testified at dozens of hearings, met with most of my political representatives at every level, to very little avail. I have come to believe that our current economic and political system is a death sentence to life on earth, and that I must do everything in my power to replace these systems with cooperative, just, equitable and love-centered ways of living together. This is my act of love." Responses to "5 Climate Activists Shut Down 5 Tar Sands Pipelines "
Tautoko from Reihana, Taka whanau. Ngati Hine, Nga Puhi. Aotearoa. Get up stand up.